The Moon is a mysterious heavenly body. Did you know that the moon keeps one side facing the Earth all the time - and so for all the thousands and thousands of years that people on Earth have been looking at the Moon, we have only seen half of the Moon's surface? Until Now! There are people alive today who were the first people in the entire history of the World to have seen what the far side of the Moon looked like! 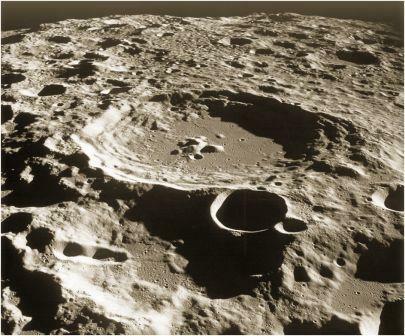 We can now see photos of huge craters like the one above, 80kms (50 miles) in diameter. It was in 7th October 1959 that the Soviet space probe Luna 3 (see below) sent back images of that previously mysterious and unknown side of the Moon - an incredibly exciting moment! How was the probe controlled? The Moon is about 384,000 kms. (239,000 miles) away - a bit far to use an extension cord! Also, wireless was not much use, because the Moon blocked radio signals when the probe was behind the moon. 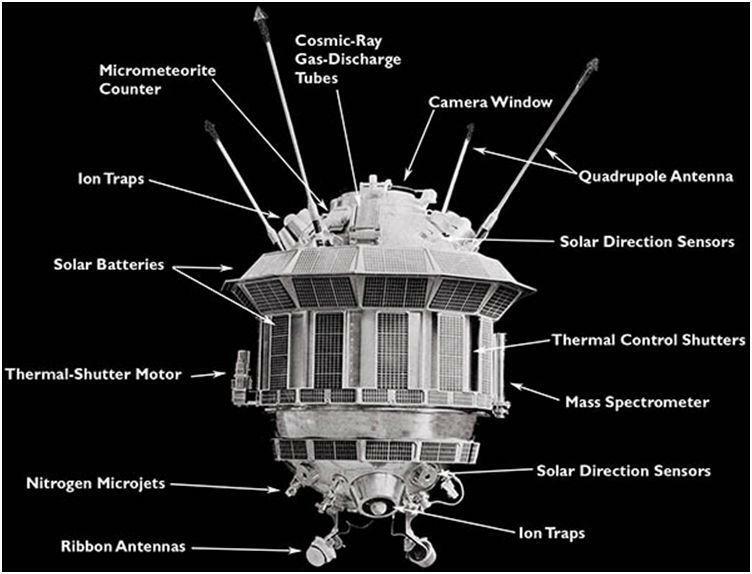 Thus the Soviet space probe had to have the instructions to operate it stored within itself so it knew what to do even when it was not in contact with the Earth. It is in memory of that incredible achievement that our Challenge is to teach our Robot to leave a pretend Earth, circle around an imaginary Moon, and using only instructions stored within the Robot to attempt to successfully return to our pretend Earth. How can we teach our Robot to do this? We can start by clicking here.